Rodney Mullen is called the Godfather of modern skateboarding for good reason, he achieved the most consecutive competitive successes in the sports history and invented the vast majority of the freestyle and street skating tricks in the sport today, if not all of them. 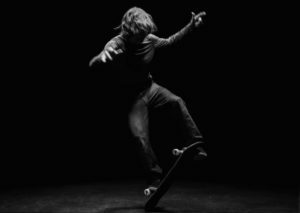 He is considered one of the most influential skateboarders in history, and rightfully so, but to describe Rodney Mullen as nothing more than a skateboarder is like calling a skateboard a lump of wood with some wheels on it. 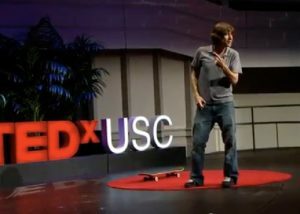 Rodney Mullen is deep, incredibly deep, and his remarkable intellect is so great that even he has trouble articulating the ideas that have made him a trusted consultant to silicon valley engineers, and a much sought-after public speaker. His unique skills with skateboards, combined with his successful business activities, have made him a multi-millionaire, but it’s his ability to speak with insight and clarity on a wide range of subjects that has made him an entirely different type of celebrity in recent years. Rodney Mullen has interests in a wide range of subjects, he can be talking about innovation and creativity one minute, and quantum mechanics the next, before effortlessly moving on to classical Russian literature. Rodney Mullen is without a doubt not your average skateboarding star. But what is Rodney doing now in 2018? And has the most innovative trick-master of all time giving up skating for good now that he’s 50 years old? Read on to find out. John Rodney Mullen was born in Gainesville, Florida on August 17th 1966. His parents were both highly-motivated achievers, his mother Ann, an accomplished concert pianist, had graduated from high school at fourteen before going on to earn a physics degree. Rodney’s father John was a dentist as well as a property developer who spent his leisure time inventing things for fun, years before the Roomba robot vacuum cleaners came along he was tinkering with his own self-propelled vacuums, but he also brought Rodney and his siblings up in a strict environment with little time for childish pursuits. When Rodney first showed an interest in skating his father wouldn’t let him buy a skateboard, considering the sport a dangerous and pointless waste of time, but eventually, at the age of ten and after agreeing to wear protective pads and to give up if he became injured Rodney got his board. He proceeded to spend up to six hours a day practising on the only concrete surface for miles around, in a large swelteringly hot barn at the family farm. Being restricted to only a flat surface meant all that time was spent practising freestyle tricks, and it was in that style that he dominated when he began entering competitions. Rodney Mullen’s first competition, in the Boy’s Freestyle category at the US Open Championships in Jacksonville, Florida saw him win fifth place even though he had only been riding for a little over a year. Rodney’s performance was good enough for him to catch the eye of Bruce Walker, the owner of Walkers skateboards, who sponsored Rodney for the next two years, a period when Rodney dominated the amateur freestyle scene. He won thirty amateur competitions in a row before the 1970’s ended, ending his run of amateur success with a win at the nationals at Oceanside in June 1979. Rodney’s first big break came at the Oasis Pro event in 1980, where he beat Steve Rocco, the World Champion at the time and he came to the attention of Powell Peralta, who quickly sponsored him as a member of the distinguished Bones Brigade team. The Bones Brigade were the most-skilled collection of freestyle skaters of all during the 1980’s, but Rodney Mullen was the shining star of the Powell Peralta team. He completely dominated the sport during the decade and lost only once, to fellow Bones Brigade rider Per Welinder, in thirty-five competitive events. His consistent brilliance may have frustrated his opponents, but freestyle skateboarding became a lot richer due to the incredible amount of tricks that he introduced to the sport. Rodney’s early commitment to innovating new stunts, combined with his exclusively flat training ground culminated in him inventing virtually every flat ground trick that freestyle skating had in it’s arsenal by the end of the 1980’s, he was the first to come up with most of the flip and ollie tricks as well as the heelflip, kickflip and the 360-flip, all used now in street skateboarding and the modern style of vert skateboarding, but it was the flat ground ollie that was his most influential invention. Rodney is officially credited with inventing almost forty tricks, and although the transitional ollie is recognized as being the brainchild of Alan Gelfand, it was Rodney who invented the flat ground version, which later became the basis for the street-style of riding, which was another invaluable contribution of Rodney Mullen to the World of skateboarding, as by the end of the 1980’s freestyle skateboarding was in serious decline. In 1989 Rodney parted ways with the Bones Brigade and jumped on board the new business venture of his long-time rival Steve Rocco, World Industries. It was a brave move, as World Industries was a skateboarder-owned company, and struggling at the time against the corporate might of the much larger and well-established Powell Peralta, but as freestyle’s popularity dwindled away, Rodney and his new business interests were perfectly poised to move into the new hot style on the street, Street skating. In 1991 Rodney moved to Plan B, a team that included legends such as Colin McKay and Danny Way and he eventually made the transition to street skateboarding, as first seen in the classic 1992 Plan B production ‘Questionable’, where Rodney first showed his new direction. His involvement in street skating brought a new legitimacy to it and he used his exceptional freestyle skills to master new street tricks such as the darkslide. Plan B and World industries worked together under the guidance of Steve Rocco and Plan B owner Mike Ternasky, a business genius and innovator who was greatly respected by Rodney and all who worked with him, but after Ternasky’s death in a car accident in 1994 Plan B was never the same, and soon Rodney and World Industries moved on to another venture. Rodney Mullen founded A-Team in 1997, a team of supremely talented riders to showcase the skills that the best street skateboarders had to offer, and during this time World Industries also went through a period of incredible growth, eventually becoming the premier and best-selling brand in skateboarding by the end of 1998, and by 2002 Steve Rocco, Rodney and three other shareholders decided to sell their 70% share in the company, that was now valued at over $30 million. They all became multi-millionaires overnight. Now in 2018 World Industries has become Dwindle Distribution, the biggest skateboard company of the 21st century, and true to it’s roots as the first skateboarder owned company, these days the President is Hugh ‘Bod’ Boyle and the Vice President is Steve Douglas, both ex-professional boarders themselves. The story of World Industries and the involvement of Rodney and Steve Rocco was chronicled in a 2007 documentary, ‘The Man Who Souled the World’. To detail Rodney Mullen’s influence on skateboarding is really only telling half of his story, but his contribution has been phenomenal. He was voted by Transworld readers as their choice for Skater of the Year in 2002 as well as third in Transworld’s 30 most influential skaters of all time list in 2011, only considered less relevant than skateboarding legends Mark Gonzales and Tony Hawk. Transworld have also stated that they believe without Mullen Skateboarding would ‘still be in the dark ages’. Tony Pappalardo of RIDE called him the biggest single influence on modern skateboarding and Paul Rodriguez credits Rodney, along with Mark Gonzales, as inventing the full range of tricks used in boarding today. In 2013 Rodney Mullen entered the Skateboarding Hall of Fame, with Steve Caballero enthusing that Rodney had changed the face of Skateboarding. 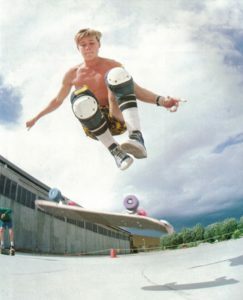 Rodney has appeared in well over thirty team and promotional videos, and in ten video games from the hugely successful Tony Hawk Pro Skater series. 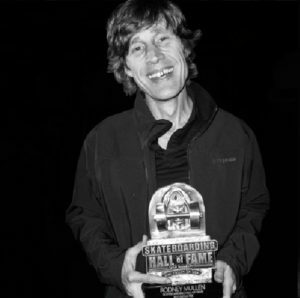 He has worked as a stunt double in big-budget Hollywood movies such as ‘Gleaming the Cube’ from 1989, and as a double for Ben Stiller in 2013’s ‘The Secret Life of Walter Mitty’, but now in 2018 Rodney Mullen has become known for a completely different set of skills, his unique blend of skateboarding experience, his engineering intelligence and his diverse range of interests. Rodney, whose incredible success belies his reserved and almost shy personality, studied engineering and math at the University of Florida, and he was was convinced in 2012 to host a TEDx talk at the University of Southern California, on the subject of how context shapes content, and his unique blend of skateboarding experience combined with his analytical engineering skills made the presentation both inspiring and refreshingly different. He was invited by MIT to discuss creativity and his inventions at the Lemelson Center, part of the Smithsonian National Museum, and shared his views on how innovation can help develop a better society through science and engineering. 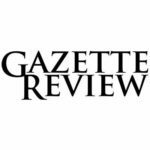 Since then Rodney’s remarkable intellect has seen his popularity as a speaker grow due to his refreshing take on the areas of innovation and creativity, and the wide range of subjects he can speak with great knowledge about. He spoke at conferences held by the O’Reilly Media group, a technology creation company about the art of good practice and presented an analysis of elements of that in a later presentation entitled ‘Build on a Bedrock of Failure’. It’s clear that Rodney, who has gained more than his fair share of physical injuries during his long skateboarding career is becoming far more renown for his mental gymnastics than for his physical ones in recent years, and perhaps that’s for the best. By 2007 the constant hyper-extension of his limbs during transitions had created mobility problems for him, to the extent that scar tissue had built up so much around his right hip joint that he was finding it hard to even walk. But once again Rodney’s constant strive for innovation turned even that into a positive, by developing a non-stance based style that favored his weaker side and allowed him to develop even more elements into his already unique style. In 2016 Rodney released ‘Liminal’, his first skateboarding video for 12 years, and the slick presentation was only equalled by Rodney’s incredible abilities. Rodney may be 50 years old, but he’s lost none of his incredibly agility on a skateboard. Rodney co-founded Almost Skateboards in 2003 alongside fellow professional skateboarder Daewon Song, and Rodney has satisfied his desire to design and invent through his work developing ultra-lightweight boards with high-flexibility that also possess intrinsic strength through patented design. He has worked with his former company Dwindle to develop experimental boards for other brands in the Dwindle group and worked on new forms of composite boards for them too. His business relationship with Dwindle remains as strong as ever, even though he is no longer part of the majority shareholder group. Now in 2018 Dwindle distribute the majority of Almost skateboards that are sold around the World, and Rodney’s involvement with the company is as profitable for him as it has ever been. For a man that has been so influential to the World of skateboarding, as well as quite so uniquely creative and inventive in other areas, it’s perhaps satisfying to know that Rodney Mullen has done very well for himself through all of his efforts. Skateboarding, particularly in the era that Rodney dominated, was not known for the incredible earnings that other popular sports enjoyed at the time, yet the efforts of Rodney and other legends from his era have greatly increased the earning potential of the top skateboarders today. Rodney’s net worth now in 2018 is around $30 million, about half of which he earned from the sale of World Industries, and it’s nice to know that Rodney can continue to amaze and entertain everyone that comes into contact with him, whether it’s a group of business executives enjoying his inspiring take on life, or just the millions of fans he has around the World, who consider him the most influential skateboarding genius of all time. Steve Dawson has been writing online for two years. He has an interest in anything that interests other people and a thirst for knowledge about all subjects. He lives with a grumpy cat called Bubbles and an addiction to chocolate.